Find the best investment properties and villas for sale at Harbor Front Villas in Elizabeth, New Jersey. Choose the most suitable unit for you; we have a total of 57 units distributed in five buildings. Building A has nine units, whereas building B has 12 units. The Complex is conveniently located on Front St. which is in close proximity to both Goethals and Newark Bay Bridges. Financing is available for qualified buyers through FHA loans and Conventional Loans. Wells Fargo™ has a program called Community Development Mortgage Program (CDMP) which requires 2% down payment without private mortgage insurance (PMI) for a fixed period of 30 years. Furthermore, some mortgage representatives say that Fannie Mae™ and Freddie Mac™ will bring down conventional loans with 3% down payment and discounted PMI. 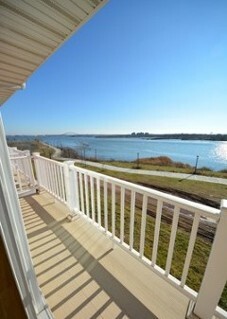 Fullfill your dream in a waterfront community by choosing one of our superbly built villas in North Bergen, NJ! Contact us at (201) 380-9200.